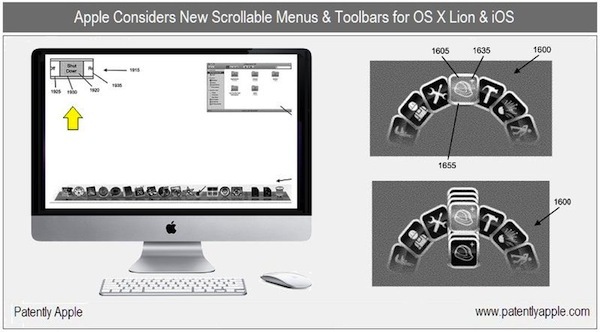 A new European patent filled by Apple describes what appear to be major changes to the dock and hierarchical menus with a new scrollable menu and toolbar system as shown in the image above. 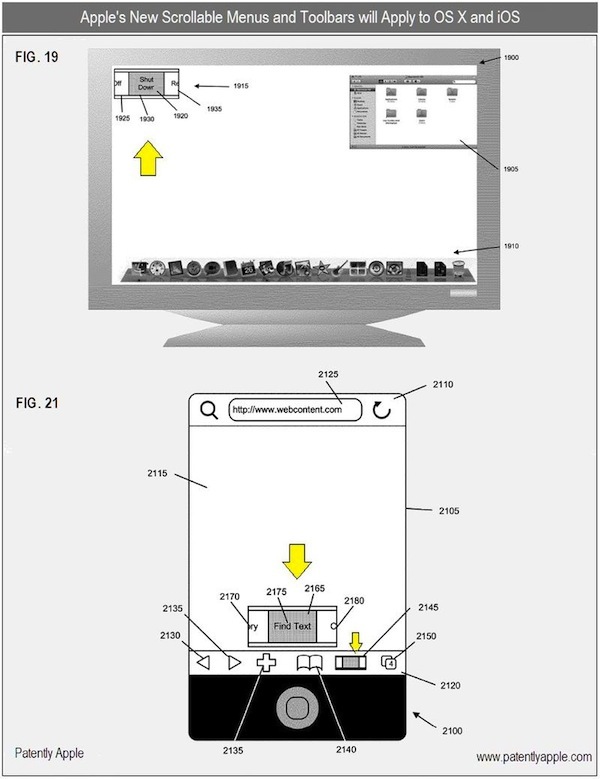 The feature outlined in the patent is essentially a replacement for hierarchical lists and menus that provides a scrollable interface controllable via multitouch gestures. Previous Entry: Will iOS 4.2 speed up iPhone 3G?